Furry fandom gradually became more organized in the mid-1980s, and one of its early manifestations was a zine called Rowrbrazzle, which started in 1984. Fred became its editor in 1989, and he held that position for the next 16 years. In 1990 he joined Streamline Pictures, an American distributor of anime, which had been formed two years earlier by television writer/producer Carl Macek and animation historian Jerry Beck (who would later go on to help create the animation news site Cartoon Brew). It's really difficult to sum up Fred's fan activities, because he was incredibly active! 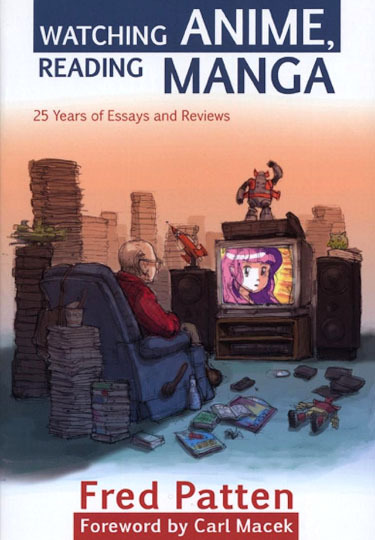 For more than fifty years, he wrote hundreds upon hundreds of reviews (well over a thousand, by his own estimate), covering manga, science-fiction, anime, animation, and furry. His bibliography in The Internet Speculative Fiction Database? That's just a drop in the bucket. Online, you can find some of his reviews that appeared in Animation World Network, Cartoon Research, Yarf!, Anthrozine, Dogpatch, and here on Flayrah. Fred helped staff several science-fiction conventions. He co-founded the Down Under Fan Fund, which helped members of the science-fiction community to travel between the U.S. and Australia. In furry fandom, he was one of the founders of the Ursa Major Awards. He was also interested in the historical aspects of fandom, and wrote an early chronology of furry, describing its growth from 1966 to 1996. 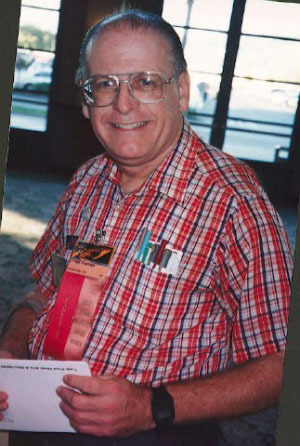 His work was recognized by his fellow fans, receiving a 2006 award from Worldcon "in celebration of a lifetime of service to [science-fiction] fandom", and in 2011 at a ceremony at MiDFur in Australia, for his service to furry fandom. In 2005 Fred had a stroke, resulting in partial paralysis. Bedridden, he moved into a care home, making it necessary to give away his huge personal collection of fandom-related items - close to 900 boxes! - which were donated to the Eaton Collection of the University of California, Riverside. He had the friendship and support of many people, like David Bliss, who travelled to Canada and Australia with him. And Kay Shapero, who did a lot of work for the Ursa Majors, and set up a web page to keep Fred's friends up to date. Most of all, Fred's sister Sherry was extremely helpful during his waning years. On November 1, 2018, he was found to be non-responsive and was moved to a hospital, but he never regained consciousness, and passed away on November 12. He was 77 years old, a month shy of turning 78. Roz Gibson broke the news to many of us. Fred and I weren't close, but I edited several of his book reviews and announcements here on Flayrah. I'm not sure when I saw him last - it was either at the 2003 Worldcon in Toronto, or at C-ACE in Ottawa in 2004. We had a strong, mutual interest in furry fandom's history, and without Fred's help I would have had a much more difficult time delving into its past. Although I could easily disagree with him over the importance of small details, we both felt motivated to post reviews online, wanting to help people connect with new things (or to avoid them). I felt embarrassed about my sporadic writing in comparison to his prolific output. A few months ago, I was happy to tell Fred that his books had been used as references when the Library of Congress had created two furry subject headings; it was a great feather in his cap as a librarian. Fred also understood French to some extent, so we were able to talk about French comics and animated films. My last communication with him was in mid-October, to tell him about a graphic novel called Rat & les animaux moches, which I hoped he'd mention to Lex Nakashima, who was also interested in that sort of thing. "The Japanese fanzine of essay, chronicle and research about Furry/Kemono fandom, April 2018, is 156 pages. It's more like a trade paperback book than a fanzine, with a full color dust jacket. Besides my [Chronology of the fandom], the contents include 'Personal, or political? From the political news concerning furries in 2017' by Tomohiro Inokuchi; 'On the history of anthropomorphism in Japan' by Calamansi Tachibana, and a translation of 'What's the deal With furries? What a decade of research reveals about a misunderstood subculture' by Dr. Courtney Plante." His other fandom activity in 2018 included poems in Civilized Beasts volume III, winning an Ursa Major Award for Dogs of War, as well as publishing two more anthologies, What the Fox?! and Exploring New Places. As of his passing, he had been working on a Cóyotl Award anthology. Rest In Peace, Fred. Thanks for everything. From Mike Glyer in File 770, a popular news blog in Science-Fiction fandom. Memorials from the Los Angeles Science Fantasy Society. 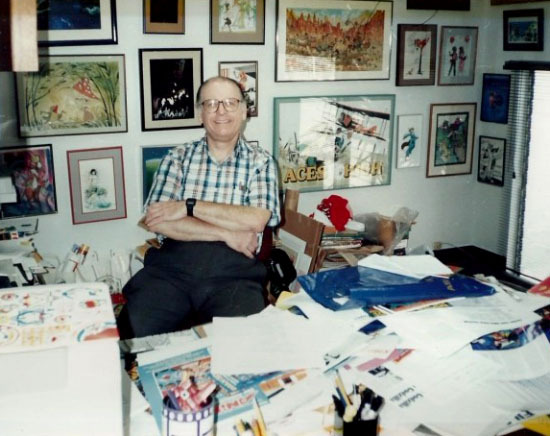 This post by Kunzait_83 gives a detailed story about how Fred crossed over into anime distribution, plus some of the history of the spread of manga, anime and fansubbing in the U.S.
Patrick Macias talks about Fred and Osamu Tezuka. KyotoVideo posted some old fandom scans. If the only thing Fred Patten had done was cosplay as the Golden Age Flash, I'd still want to shake his hand. R.I.P. Fred. When he says over a thousand he is probably woefully short on the estimation. He has 655 articles here, and only here. He also supplied probably about 33 - 50% of DogPatchPress's content after its start in the early 2010s. That's going to be a large gap to fill as far as providing information on fandom media. I can't even process how much that is right now. The site hit 1000 posts last month, 442 are in the Fred Patten tag from 2014 - 2018, (some may be tagged that are about him, but his are probably over 400.) At the time he had no idea when Flayrah might publish time sensitive posts, so he asked if I could help. I said no need to change locations or stop posting here but I would happily publish all he sent. Here's the first ones there (he was most concerned about getting the Flaunt article out in time.) It was especially nice when Fred asked if I could use something and then we did collab on it. Flayrah's timing issues started a couple years ago as Crossaffliction stopped editing, and with GreenReaper busy doing admin for multiple sites, Flayrah languished for the better part of nine months in 2016. When Sonious and I got editing privileges, we had to catch up on months of Newsbytes that needed archiving, and there was a good pile of articles that people had submitted, which hadn't been cleaned up or greenlit. We gradually worked our way through the pile, and when we finally got around to posting the last one, it had been waiting a year. Some of the submissions had been time-dependent and had become useless. One of my submissions was in the pile, and I had updated it every couple of months because things had changed. But I think the slowdown had started a little before 2016, and Fred appreciated timeliness, so that's mainly why he switched sites. He still sent us book announcements - instead of using Flayrah's submission button, he'd e-mail them to me directly, with a polite emphasis that it needed to be posted before such-and-such con, because the book would be new and on sale. Interestingly, although he stopped sending us book reviews, for a while he kept sending us stories about animated films. But as he threw more and more of his energy into editing anthologies, the animation posts became less and less frequent. For a while he also mailed me anthologies to review, which I did, until I felt burnt out. Writing literary reviews is something I find daunting - partially because my day job involves books, so when I get home, recreational reading takes a huge hit. The last book review I really enjoyed sinking my teeth into was Five Fortunes, because those were novellas. A collection of 20 short stories requires not writing one review, but 20 mini-reviews, all without trying to spoil stories that are... well, short. ...And a non-furry non-fiction book that I don't even remember being given, must be a family Christmas present (The Wolf: A True Story of Survival and Obsession in the West) - plus one or two other furry books. I sat on Blacksad: Amarillo and the two French Jack Wolfgang comics for a while, but I did get around to reading them! Just not reviewing them. I should get around to reviewing these, in Fred's spirit. It's way too late and some of them are out of print, but hey, Greyflank sent us reviews of older stuff from his personal library, so that's something I could do. These days, in terms of the site, Sonious and I keep in touch when things in our lives slow us down. Like in the last year, he was moving, and at my end, from late July through October I had cons, social obligations and work to juggle. These days we're much better at article turn-around, assuming it's post-worthy. We can have an article cleaned up and posted in a day or two, or at worst a week if we're simultaneously busy or if we need to ask the author to clarify or re-write parts of it. The triple movie review I just posted - that had been on the back-burner for months. This last week was a chance to do some writing at long last, a chance I hadn't had in ages - and what a doozy of a week. Losing Fred, plus Stan Lee, plus Douglas Rain (the voice of HAL in 2001), plus William Goldman (the author of The Princess Bride). Whoosh. Fred had actually joined Patch during the second 'downtime'. Flayrah has had three historical significant down-times. One before GreenReaper took over as editor in chief and the original owners were thinking of just letting it go. The second one was when GreenReaper acquired Inkbunny and he was still the sole editor on the site. It was at this time the DogPatch made focused on his site and brought fred with him. About a month or so later, crossaffliction was given editorial role. A situation arose why cross resigned his position which is the one that Dronon was referring to, but at that time DogPatchPress and Fred were already well established on the new site. That's when we were brought on. One of the finest this fandom will ever have the pleasure of having. I saw someone on Twitter say that he's proof you don't need a fursona or a fursuit to still make a positive impact and they couldn't be more right. An icon and a trail blazer. R.I.P. It's very sad news indeed. I knew Fred as a colleague here and I only had limited personal contact with him but I greatly respected and admired him. When I was preparing a presentation for Eurofurence, I made quite a bit of use of his timeline. He was also, as Cassidy says, a perfect example that you don't need a fursona to be a fur. No one could doubt Fred was a fur, he did more for the fandom than most. And to be in his late 70's and still active? That's a perfect example that things like the furry fandom aren't just a phase and for kids. He was involved in the fandom for decades, literally up until his death. I found his dedication to the fandom inspiring. It's no secret that the furry fandom is generally quite young. Many, myself included, weren't around before the major furry websites were formed and, for various reasons, a lot of those furs probably neither know nor care about the early years of the fandom or how it all started. Fred was there and had a lot of background knowledge which can never be replaced, even by his extensive writing. This is an extremely sad time for the fandom, particularly furry literature, but I think Fred will still serve as an inspiration to other furs. He set a great example with his love and dedication for the fandom which we should strive to live up to. He was a great classy man. The fandom was a better place thanks to him. He will be greatly missed. I owe a great debt to Fred, as I felt I had my first big exposure with the fandom when he accepted my submissions to the Rowrbrazzle fanzine back in the mid-90's. One of the highlights of each issue was reading his reports of the furry conventions I did not have the means to attend, so his words were a window into the excitement these events could be. I even bought his Anime book, if for nothing else that he wrote it and I knew it'd be good. We needs more Freds in this fandom today!